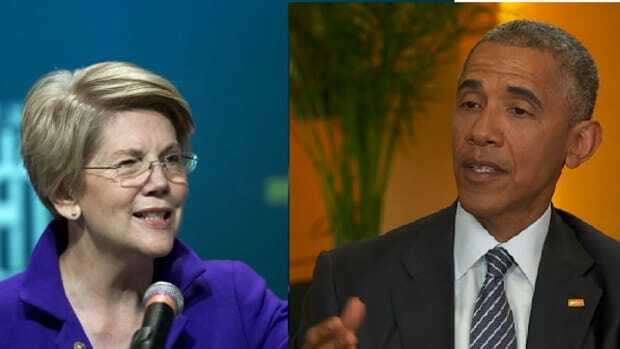 That's "Senator Warren" to you, Barack! What&apos;s a liberal to do? The ongoing fight over trade deals like the Trans-Pacific Partnership (TPP) has cut deep into the heart of liberal politics, a dynamic nicely (if self-satirizingly) summed up by the Blue Nation Review headline "Mommy and Daddy are Fighting Over TPP." 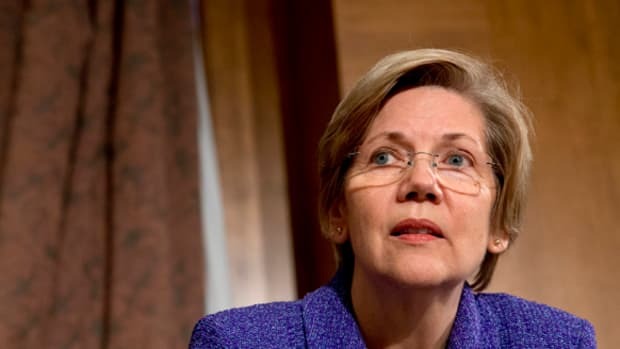 O&apos;Neill told The Hill she took issue with Obama calling Warren by her first name during an interview with Yahoo News published Saturday. "Yes, I think it is sexist," O&apos;Neill said. 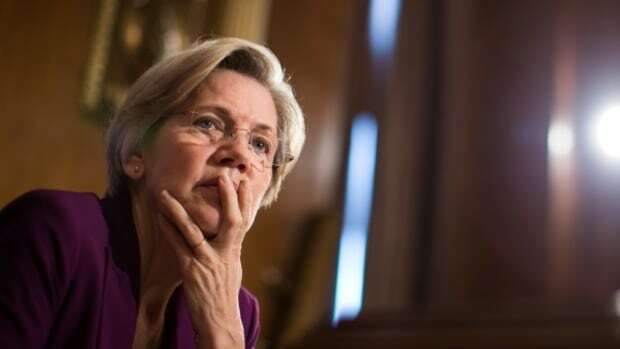 "I think the president was trying to build up his own trustworthiness on this issue by convincing us that Senator Warren&apos;s concerns are not to be taken seriously. But he did it in a sexist way." 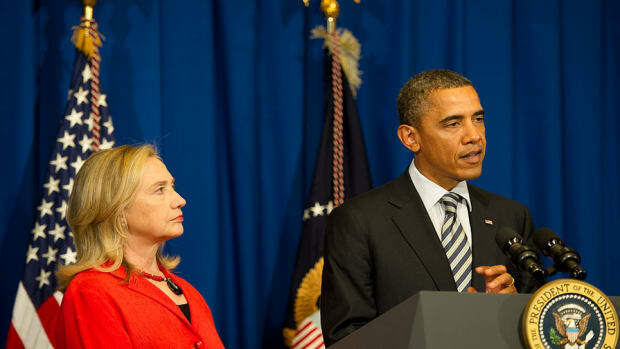 ...O&apos;Neill said Obama&apos;s "clear subtext is that the little lady just doesn&apos;t know what she&apos;s talking about." "I think it was disrespectful," O&apos;Neill said. O&apos;Neill&apos;s criticism followed a similar jab by Sen. Sherrod Brown (D-Ohio) on Tuesday, telling reporters “I think referring to her as her first name, when he might not have done that for a male Senator, perhaps? I’ve said enough." Matt Bai: It’s personal, too, isn’t it? President Obama: Elizabeth is a politician like everybody else, and she&apos;s got a voice she wants to get out there. That wasn&apos;t the first time he&apos;d done it, though, and not the first time someone raised the sexism charge. 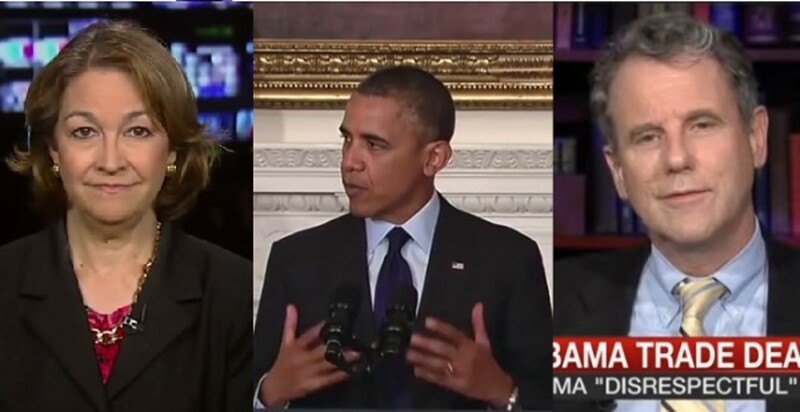 A few weeks ago, MSNBC&apos;s Rachel Maddow made a similar observation about President Obama&apos;s comments to Chris Matthews, which included a first name-only reference. The White House has yet to respond to the sexism allegation, but when reached for comment, Vice President Joe Biden misheard the reporter, and responded "Barack may be the smartest, but I&apos;m the sexiest." 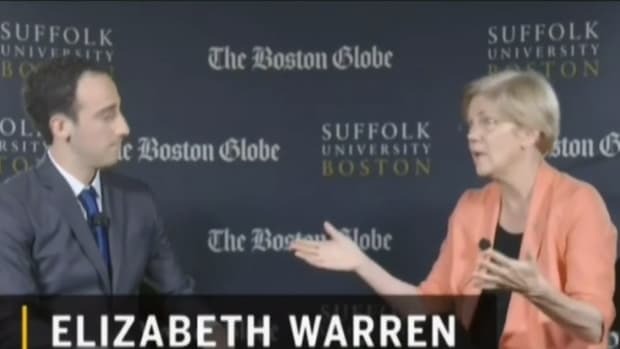 "I was fortunate even when I was running for president to have some friends like Elizabeth Warren..."
"And obviously, Elizabeth, who wasn’t a senator when she thought this up, but is now a senator -- she was poking and prodding people for a long time to help make it happen." "Elizabeth and Ed are representing you with excellence." “The simple fact is that to pass the Senate, bills must have strong Democratic support. Nearly every bill passed by the Senate this year has enjoyed the support of over ninety percent of Senate Democrats. Essentially, Democrats had wanted all four current trade bills to be considered together, and when McConnell moved to separate them, Democrats balked. The move is being covered as a mutiny against President Obama, but at least part of this was engineered by Republicans. However this trade fight turns out, this kind of liberal infighting could be deadly to Democrats in 2016, especially if it continues to evolve into a proxy fight about sexism versus racism. 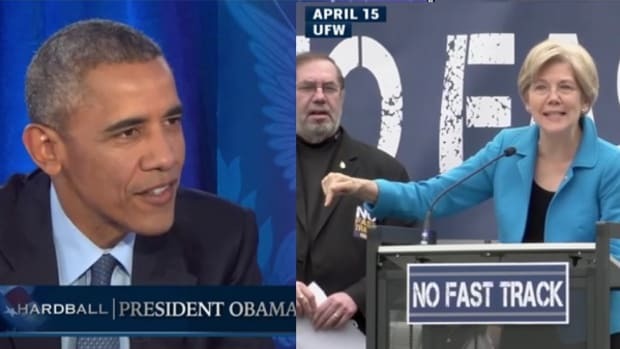 Hillary Clinton is going to need every part of the Obama coalition and the Warren Wing, and this is going to make that more difficult, which could also complicate Democratic efforts to take back the Senate. Earnest: "Can I call you Jon?" Major Garrett: "That one&apos;s been in the works all morning." Earnest: "Sometimes these things just come to you like a lightning bolt, Major." 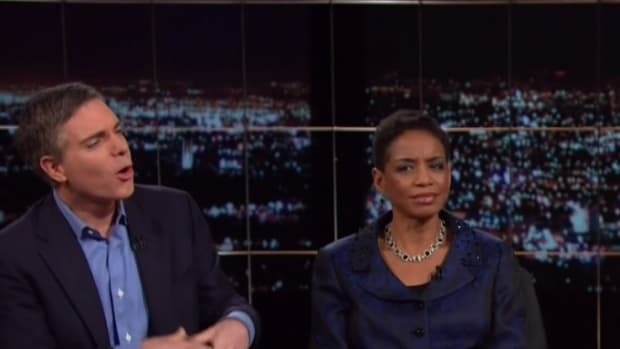 "That certainly is not the tone or the tenor of the comments that the President made."